To say that the Miami Dolphins lack experience at cornerback is a bit of an understatement. Prior to last season the Dolphins traded former first round pick Vontae Davis to the Indianapolis Colts and this offseason Sean Smith elected to sign with the Kansas City Chiefs, leaving Miami with little experience at the position. 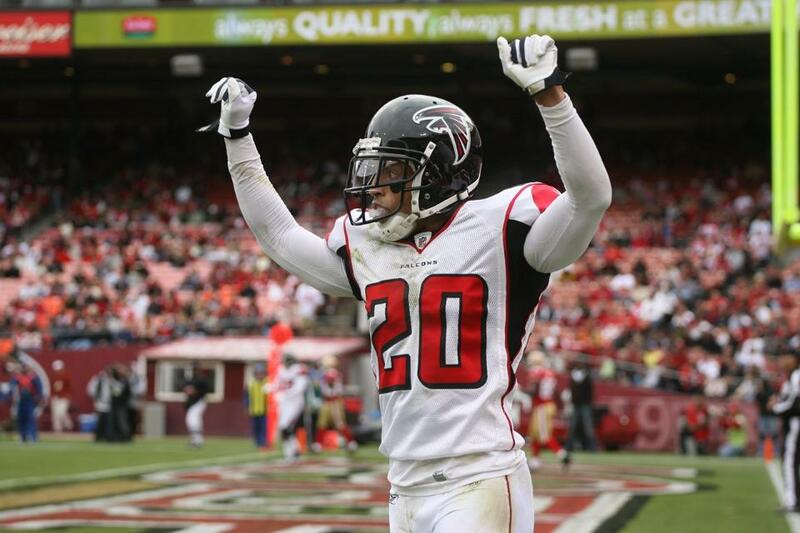 This offseason, the Dolphins signed former Atlanta Falcons cornerback Brent Grimes, and to this point the coaching staff has raved about him. Despite playing in just a game in 2012, Miami's pass defense may largely hinge on Grimes' play. The Dolphins made a conscious effort to fill the position in the draft with the selections of Boise State's Jamar Taylor, Utah State's Will Davis and seventh round selection Don Jones from Arkansas State, but how viable any of those three are at this point is largely unknown. Miami does have a few veterans at the corner position like Richard Marshall and Dimitri Patterson. Marshall has had a solid career with 18 interceptions in seven NFL seasons, but is perhaps best used in a nickelback role. Marshall also recorded just one interception a year ago. Despite eight seasons in the league, Patterson has just five career picks and played in just two games a season ago. Aside from his four-interception campaign in 2010, Patterson has just one career interception. The lack of experience at cornerback means Brent Grimes may need to be the Grimes of old for the Dolphins to excel against the pass this season. An Achilles injury limited Grimes to just a game a season ago, but the former Falcon has 13 career interceptions, including six in 2009 and five in 2010, a season in which he made the Pro Bowl. Despite only a 185-pound frame, Grimes is also an above average tackler, but he has rarely provided much in the blitzing game. As a purely cover corner, Grimes will need to be up to the challenge if the Dolphins are to make a legitimate playoff run. Wes Welker may be in Denver now, but Steve Johnson is still in Buffalo and there's no telling the kind of production that former Super Bowl MVP Santonio Holmes could give the New York Jets if someone other than Mark Sanchez is throwing him the ball. The Dolphins will also face the pass-happy NFC South this season, which will certainly test the Miami secondary with elite quarterbacks like Matt Ryan and Drew Brees and big-time receivers such as Roddy White and Vincent Jackson. Having a guy like Grimes, who once excelled in that division, could also prove to be a huge bonus for the Dolphins. Last season Miami was 27th in the league against the pass and with a tough schedule. The Dolphins will need to be better this season to make the playoffs. The safety combination of Reshad Jones and Chris Clemons is solid, but cornerback remains suspect. Not only was Miami 27th in the NFL against the pass, they were 27th in interceptions and 29th in total takeaways. Cornerback looks to be one of Miami's weaker positions, but if Grimes can return to form from previous years, the Dolphins should be in pretty good shape.